Final Five in the Family Travel Photo Contest! Vote For the Grand Prize Winner! With 278 total votes cast for the 12 Finalists, that round’s voting is now closed. Here are the FINAL FIVE! Now’s the time to choose the Grand Prize Winner, who will be taking home a print from Kevin Dyer at A World in Focus, as well as unlimited bragging rights. Get out the vote! Coming in with 13 votes is “Kids in the Pod,” from Scribbler in Seville. 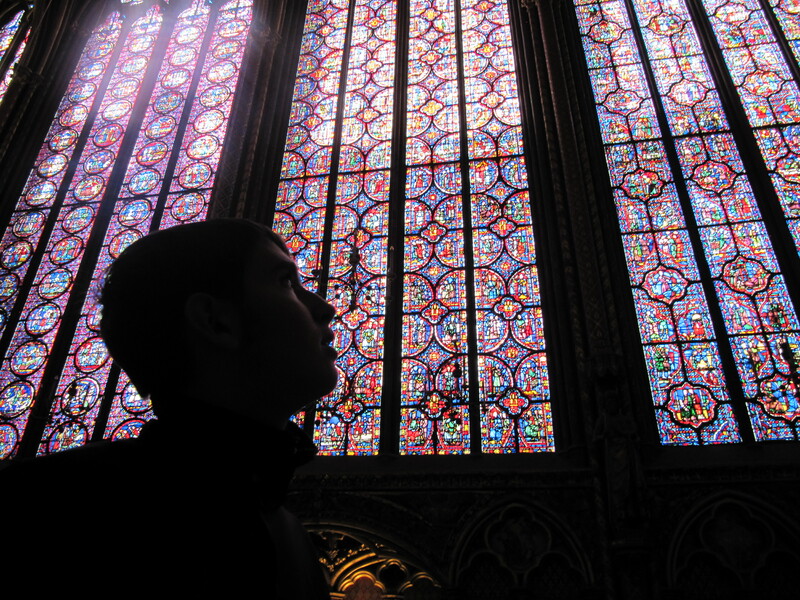 Jeffrey’s “Profile and Stained Glass” has nabbed 33 votes. 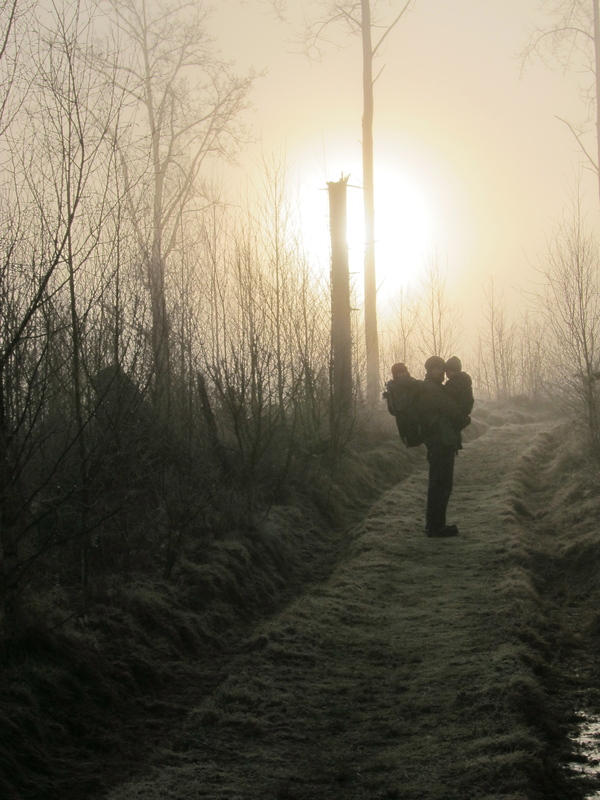 “Dad and Sons in Mist” from Family Nomadic is currently in third place with 36 votes. 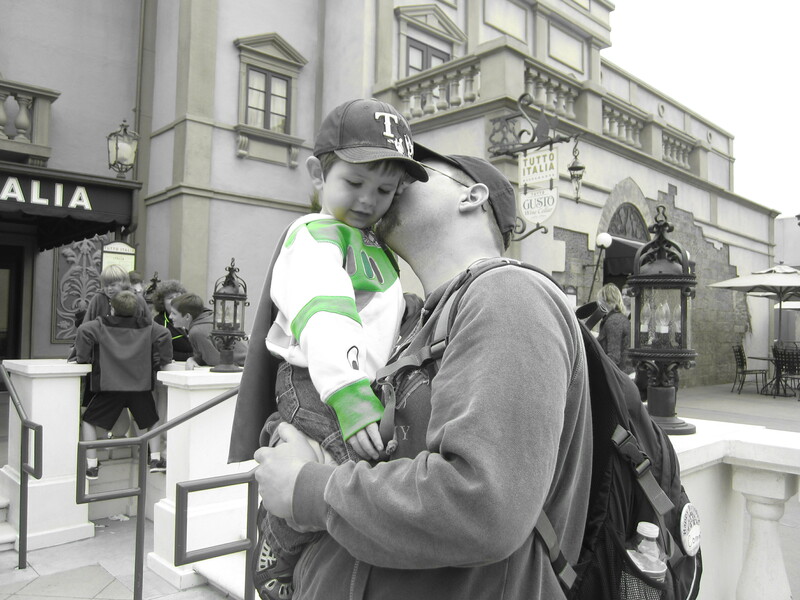 In the second slot we have 85 votes for “Dad and Son at Disney World,” brought to you by Magic Details Travel. 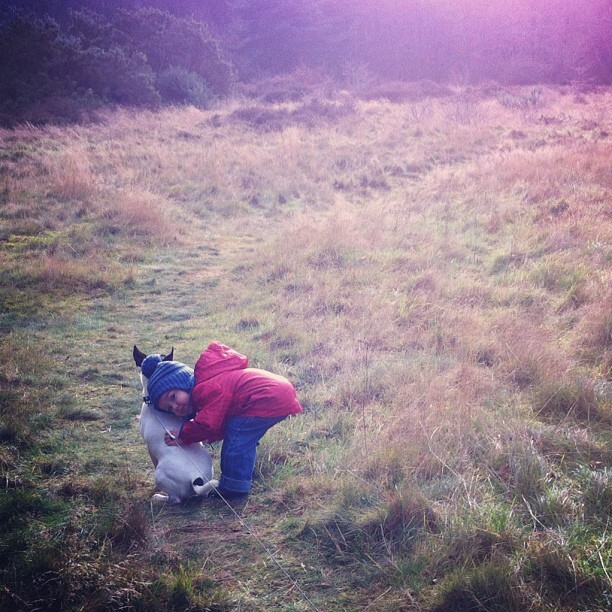 And currently holding the lead is Wanderlynn’s “Boy Hugging Dog,” with 88 votes. Votes are not cumulative, so everybody is starting at zero and the field is wide open! Voting will end at midnight GMT, Friday, February 1, so don’t delay! A huge THANKS to everyone who sent in their photos and to all those who voted for the finalists. Best of luck to the FINAL FIVE! The Family Travel Photo Finalists Are Here! Vote for Your Favorite Shots! 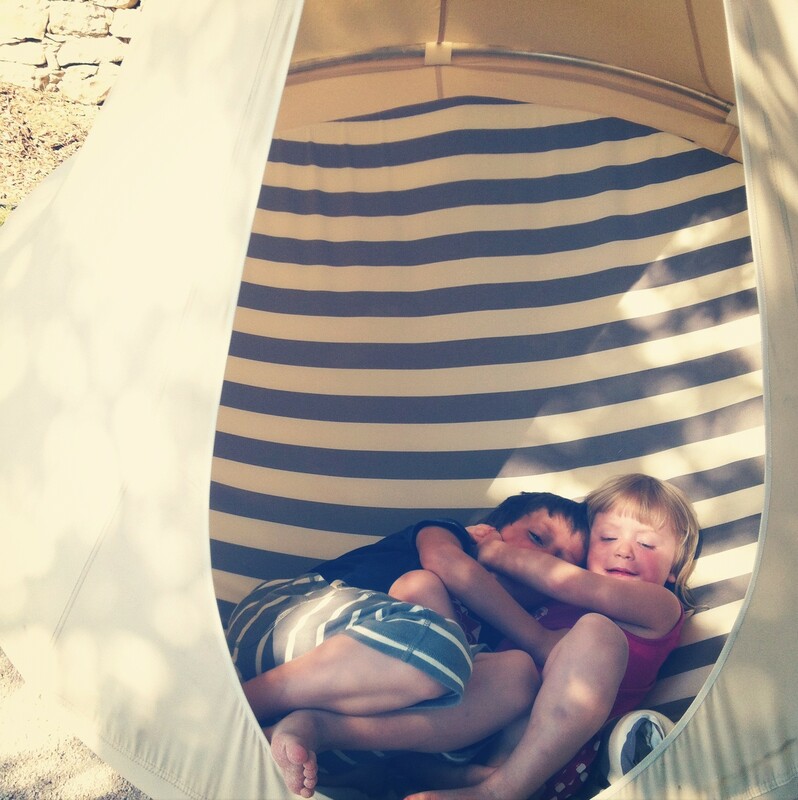 The Family Travel Photo Contest is Now Over, and the Winner Is…. If you wouldn’t mind taking a couple of seconds to vote for my photo: Dad and Son at Disney World, I would greatly appreciate it! It is literally two clicks of the mouse and 20 seconds of time! Thank you!